Home / Blog articles / Is the Red Tractor on the right path? Is the Red Tractor on the right path? Labelling can be confusing for most of us, especially as there are more labels on our food then ever before. It can be hard to remember what all of them mean and which labels ensure better quality for the most reasonable price. In the UK, pressure from consumers for better food quality and traceability has resulted in the creation of the Red Tractor Label, which was set up independently and not-for-profit, also claiming that it is “owned by the entire British food industry”. By setting the minimum standard for the production, transportation, processing and retailing of British foodstuff, the Red Tractor Label assures the consumer that the minimum standards have been met from farm to fork. Red Tractor labelled products are accessible and also affordable for the average person, but what are these standards and if they are the minimum, shouldn’t all products in the supermarket have a Red Tractor label? Lets use pork as an example. The Red Tractor standards for pork are generally higher then EU standards. This is the first sign that the meat has been reared, slaughtered, processed and packaged in the UK. Considering we still import a great deal of pork into the country, the Red Tractor Label ensures consumers that they are buying British pork, which is a step in the right direction, but what conditions are the pigs reared in? We must be realistic, as the minimum standard, the pigs are most likely reared indoors for most of their lives and on an intensive scale. Minimum standards mean housing must be comfortable and not cause distress, be properly ventilated and clean to prevent the spread of diseases. The pigs must be handled in a way that minimises distress and injury. Medicating, tail docking and teeth filling should also only be carried out when absolutely necessary. Slurry must be kept in tanks to prevent pollution whilst any fertilisers and pesticides on the farm must be stored in containers to prevent contamination . Although all of this sounds good, investigations into practices carried out on Red Tractor Farms by Compassion in World Farming in 2012 found that “All too often the farmers turn to routine tail docking of piglets to avoid tail biting rather than addressing the cause of the problem – lack of enrichment” . Tail docking, the removal of a piglets tail with a sharp tool, is carried out on approximately 80% of piglets in the UK, which is illegal in the UK and the EU when done unnecessarily. It is often done without the use of any anaesthetics, which causes great pain to the animal. Tail docking is normally carried out to prevent tail biting by other distressed pigs that may be suffering from mental stress or physical pain. 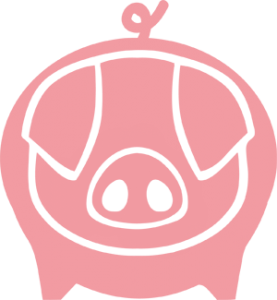 This can often be improved by providing better living conditions for pigs, which could include more space when feeding, better bedding and handling . The Report by Compassion in World Farming concluded that: “Major improvement was needed in every category” . So is the Red Tractor on the right path? Large-scale certification processes often have to have achievable standards to be more inclusive and to meet consumer demands. The Red Tractor Label allows people to buy British standard at an affordable price from their supermarkets, but their welfare standards leaves a lot to be desired. So although they are on the right path, the next step would be to slowly increase the level of their welfare standards. Other accessible food labelling standards in the supermarket include the RSPCA’s Freedom Foods and The Soil Association. Both offer higher standards then Red Tractor and although they cost a little bit more, are rated highly for animal welfare by Compassion in World Farming. The choice to choose is important, but requires consumers to be well informed about what the labels mean. At Farms Not Factories, we have simplified this information so consumers taking our Pig Pledge can be better informed to make the right choices. 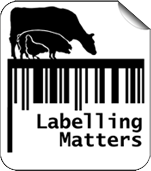 Visit our labelling page  to find out more about these three main certification labels for pork.